What does the Radiology Department offer? The Radiology Department offers 24/7 services providing diagnostic x-rays, CT scans, ultrasounds, and echocardiograms—all in house and all performed by dedicated, compassionate, and qualified staff. 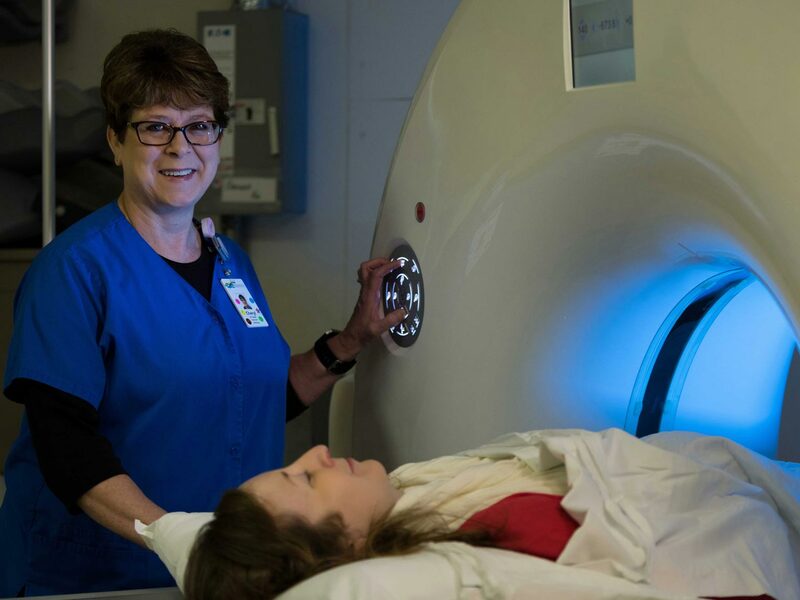 What’s special about PMH’s radiology department? Just this summer, a SOMATOM Scope computed tomography (CT) scanner from Siemens Healthcare was installed. The SOMATOM Scope delivers safer, low-dose imaging for our patients. What does a person need to get one of these procedures done at PMH? All a person needs is a referral from their medical provider or be a patient in the hospital or emergency department.